With the way things can be shared across the internet, you can’t always control how things are spread. If you upload your work to Facebook, Instagram, or any number of other websites people peruse for interesting artwork, you can be sure that a lot of them will just save it to their computer or post it to their own social media platforms and will either accidentally or unintentionally not credit the original creator. It’s definitely a problem, but luckily we have watermarks and logos to help make sure our works are always properly attributed. The question becomes then how do we make a watermark that is unobtrusive yet visible enough to allow others to know who originally created the work? Here’s our guide to watermarks. According to the United States Copyright Office, copyright protects original works of authorship. Common things you can copyright are poems, books, artwork, paintings, and architecture. More than likely, your work is copyrightable and will be copyrighted. It doesn’t protect ideas. It must be something tangible. It must create somewhere other than in a mind for it to be eligible. The appropriate symbol is the copyright circle ©. If you’re going to identify it in a sound recording only, use the letter P. You were supposed to use this, but since March 1, 1989, you no longer have to provide any notice. Works are copyrighted at the moment of creation. It’s still a good idea to post it anyway from a legal standpoint. It can deter anyone from plagiarizing any of your original works. Make sure the holder of the copyright is also there. You can use either the full name or an abbreviation that is recognizable. Don’t forget to place the copyright on your work that provides reasonable notice of your claim. It shouldn’t be concealed or hidden. If you can’t attack it, you can add it as a tag. All Rights Reserved is the most common of them. Creative Commons License is also used a lot too. This means there are certain instances people can use it, as long as it isn’t for profit. No Rights Reserved means you don’t want to hold the rights. Next, let’s talk about placement. There are four types of watermarks, and you can place your watermark as you like. With a watermark, you want to tread the line between excessive and protected. The standard place to put your watermark is in the bottom right or left corner. It’s visible yet doesn’t detract from the overall image. The biggest disadvantage is that it can be easily cropped. Another popular choice is right in the center, either going diagonally or parallel to the picture, which makes it prominent and hard to remove by simply cropping it out. Another watermarking style is the use of frames. A simple white frame with your logo or text inset, placed around the edge of your picture, can be good protection and decorative ornamentation. It works particularly well on images even if you can add the contact information somewhere near the center of the composition. If you want to add a creative and subtle watermark, a great option is to integrate your logo into the photo. The idea is to integrate it somewhere within the object so that it appears to be a part of the scene. Now, let’s see how to make a watermark with Fotor. Click on the “Import” button on the top right and follow the steps to get the photo you want. Take whatever picture you have and click on the “Text” tool to get yourself a textbox to input your watermark into. Change the color in the top left to white, and you’re fast on your way to your watermark. Next, make it bigger so that it covers more of the photo to make it hard to remove or ignore. You can also turn it sideways to make it look cooler. The “Transparency” tool is what you’re looking for. That’s in the upper toolbar. Decrease the Transparency to around 50%. If preventing watermark removal is not the aim here, you also can try to place the watermark in the corner. 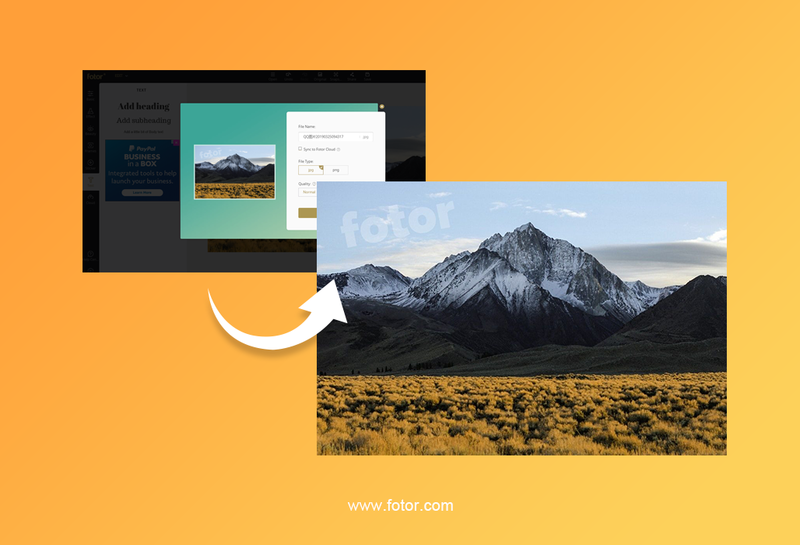 If you’re logged into your Fotor account, you can save it to your Fotor Cloud. Once you click download, then you’ll also get a chance to share your photo to social media like Facebook or Twitter. 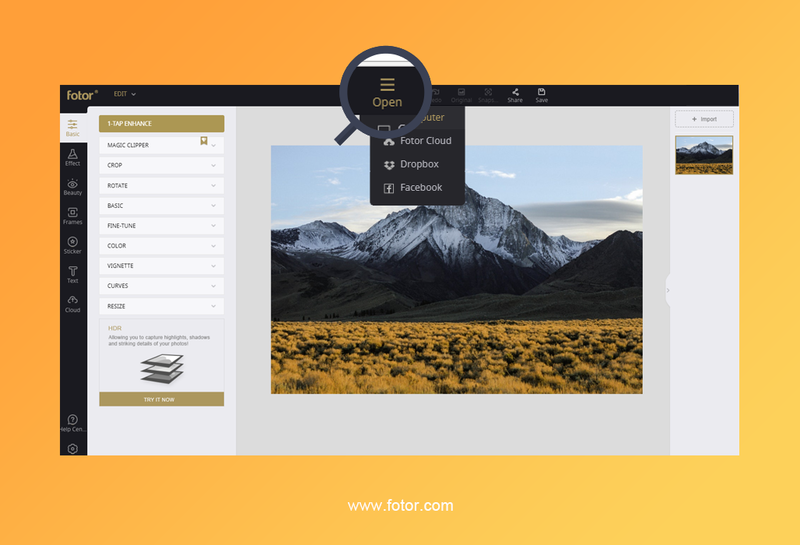 Isn’t Fotor so darn convenient? Using the same way, you also can use your company logo image to make watermark on your photo with Fotor! 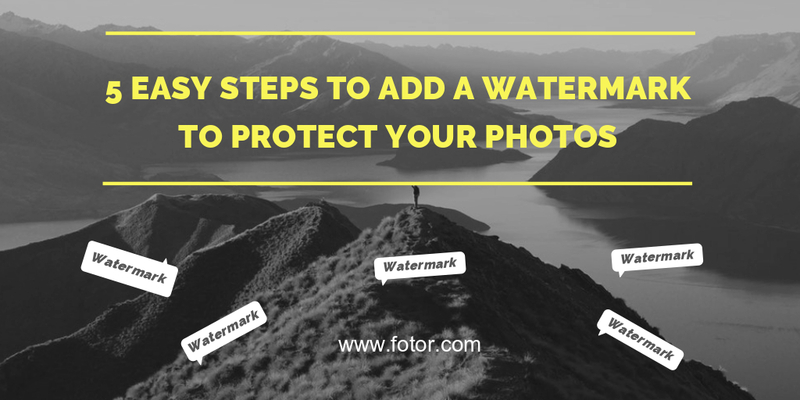 Adding a watermark on the photo will help you protect your photos and its copyright easily, but to know how to make a watermark on the photo appropriately, your photos will not be ruined. Hope you can find these techniques mentioned above helpful and retain the aesthetics of your photography, too. 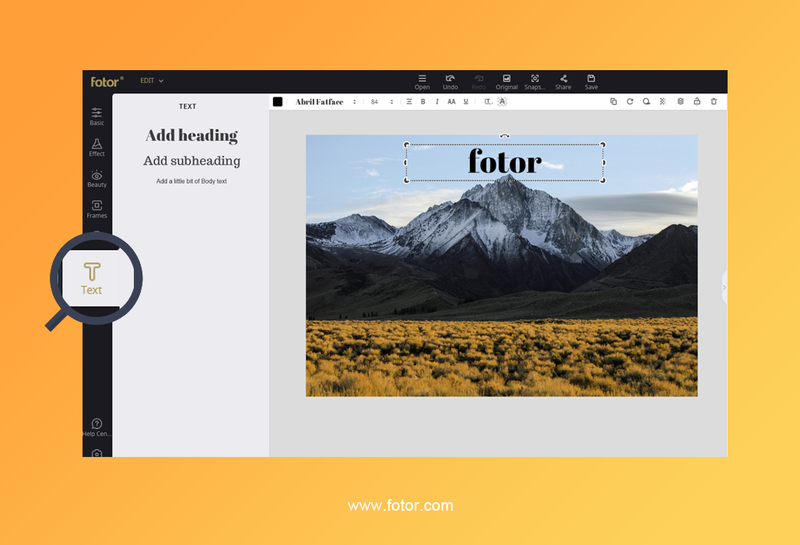 Now, go to Fotor and edit your own photos. Without too much effort, you can create your own artwork immediately. —> no way to add watermark in a batch process making watermarking a collection of photo to painful. For batch precessing I would highly recommend Fast Stone Image Viewer. Pretty simple and free.